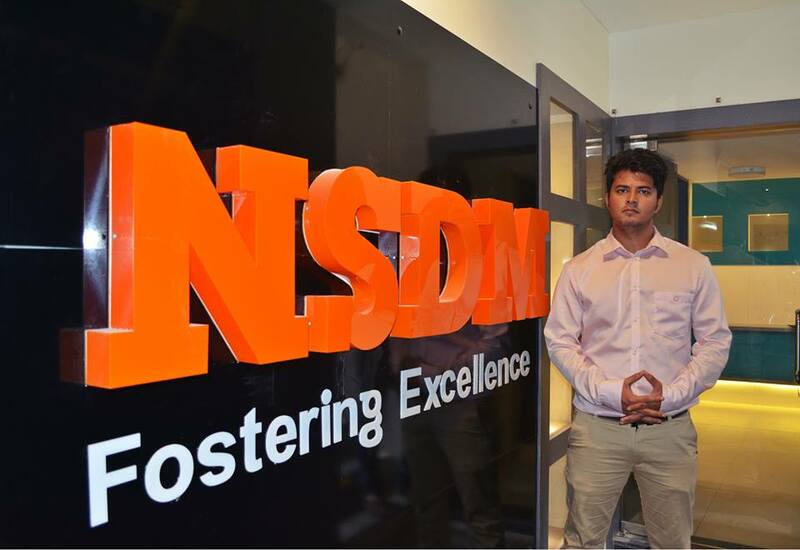 NSDM INDIA is a Pune based digital marketing training company founded by Harshit Gupta and Arpit Khurana. Students at NSDM INDIA are trained to develop complete digital marketing campaign strategies from start to finish that involves conceiving, creating, promoting, executing and measuring the success of an online business. The objective of our internet marketing course is to arm our trainees with the digital media skills that can be leveraged to become leaders and influencer’s in the online space, says Harshit. We got an opportunity to talk with Harshit, the co-founder of NSDM INDIA and I am sure; his story will inspire you. Let’s look at his journey as an entrepreneur and see how he and his team are working hard to achieve their dreams. NSDM INDIA is a premium digital marketing training company; we offer a comprehensive digital marketing course in with job placements. Our online marketing courses are based on a learning by doing approach. Students at NSDM INDIA are trained to develop complete digital marketing campaign strategies from start to finish that involves conceiving, creating, promoting, executing and measuring the success of an online business. The objective of our internet marketing course is to arm our trainees with the digital media skills that can be leveraged to become leaders and influencer’s in the online space. NSDM INDIA is globally expanding with a self-paced Online Digital Marketing Course. The LMS software clubbed with interactive sessions has effectively made the institute a One Stop Learning Destination is Present to Train Marketers & Entrepreneurs for acquiring new skills. NSDM India has trained more than 4000 digital marketing professionals. This includes students, working professionals and entrepreneurs from an assortment of industries. Trainees have the choice to acquire recognized certifications like Google AdWords, Google Analytics and Facebook Blueprint Certification apart from the regular courses offered by the institute. What made you start your start up and what problem does it solve? I was always passionate about marketing, and specifically marketing through digital media. I started my first company Hash and Karma – a digital marketing agency, getting the right talent was a major hurdle. As a solution to that I decide to start training people and gradually it turned out to be more fruitful in terms of business. There on I established my digital marketing training company NSDM INDIA. I am a Growth Hacking evangelist and a Digital Marketing Strategist with an intense experience in digital marketing and has previously worked with e-commerce startups & agency-side for Healthcare, Technology, Real Estate, Education, Travel & Lifestyle brands, He’s a Performance Marketing Digital Agency. Furthermore, I have been a digital marketing consultant for many startups to develop & execute their digital & Growth strategies. Moreover, I’ve been conducting corporate training programs for middle level & C–suite executives. I am a Speaker and have delivered training programs ar various reputed colleges Like MITSOB, MITSOM, DY Patil, Symbiosis (For all the middle managers) to name a few. My startup is based in Pune. We have training centres at three locations, Deccan, Koregaon Park and Baner. However, we are expanding through our Online training vertical. We have recently launched an online interactive digital marketing program. Being a resident of Pune myself, I believe that Pune is hub for education. Being termed as the Oxford of the East, Pune’s major economy is derived through education, I firmly look forward to expand here. Since Ed-tech is a dynamic industry, I am paranoid about the growth rate of my startup. I am constantly thinking of innovative ideas and right network to expand as a startup. It is my passion toward my business expansion and giving in my best input that keeps me awake at night. Honestly, it is a tough job to maintain a work life balance. However, I follow a minimalistic working style, which helps me being more productive and save time for learning new skills and my personal life too. Yes, we had raised a seed fund from an angel investor. since we are planning to expand in other cities and also our upcoming online platform, we are looking forward to raise more funds. I think it is a misconception people believe that we are a mere training institute just providing a formal course, whereas we are beyond that limit. Our training methodology is highly focused on imparting practical digital marketing skills. It is an ever dynamic field of study. It keeps updating and which has to mean for me to stay on toes with learning and teaching. Being a morning person, I like starting my day with my fitness regime and news of the industry. I there on initiate my training in the institute and online. It further walks towards functions of my startup expansion, Sales meetings. I like to talk to young minds and some close friends as I finally end my day. I work along with my Co–Founder and my college friend Arpit Khurana. Since College days we had plans to start a business together, we work for two years in a digital marketing agency and then started NSDM INDIA.